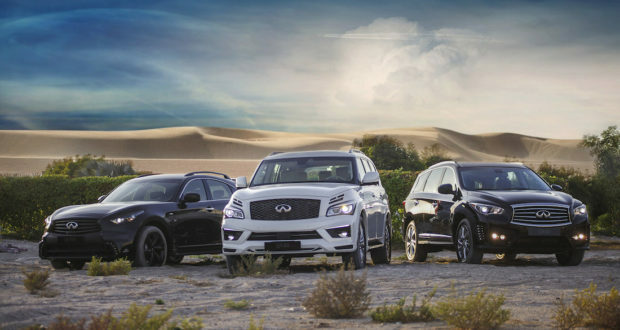 Among the packages available on the UAE market, the Middle Eastern motorists can find a well-known Missuro for QX80, LR1 for QX60 and a company latest offer LR3 and LR2 for QX70. Almost every model has several options for tuning package, as well as a choice of the grille and optional accessories. In addition, all the packages include a new exhaust system, and additional optics. The use of basalt composite for front and rear fascias not only gives the car ultra-modern appearance, but also provides excellent performance. Thus, basalt bumpers are both not sensitive to moisture or chemical compounds, and have high levels of strength and durability.